Should you change planes here, come for a week-long vacation or only pop over from a neighbouring country for a city break, Budapest is an excellent destination if you want to chill out and kill time. We’ll show you a few things to do in Budapest, even on a short trip. 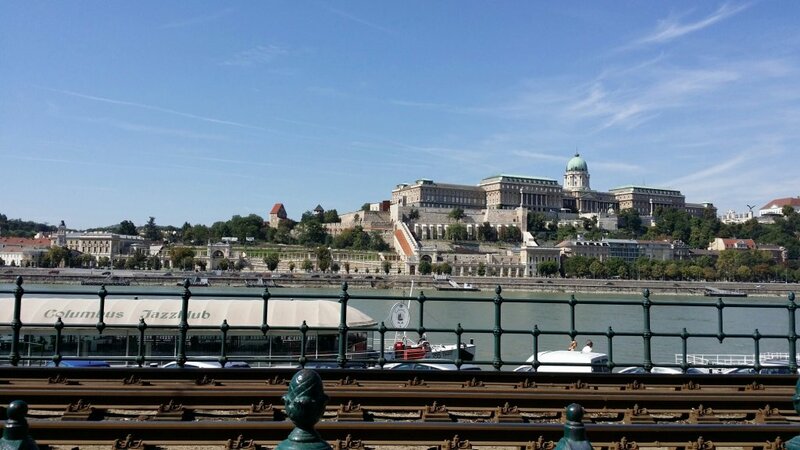 A bit crowded, but definitely a must: the Buda Castle is one of the most important sights in the Hungarian capital. With several charming restaurants and cafés, the Castle and its environment is a beloved tourist-spot and coming up here is one of the best things to do in Budapest. Don’t miss Halászbástya and the view from up there: the Danube and the Pest side of the city are worth the steps to climb. If you’ve made it up to Halázsbástya, you just can’t ignore the Mátyás-templom (church) and it’s breathtaking architecture. Do you have any friends who’ve already visited Budapest and told you about a few places? Bet there was a ruin bar among the most praised ones. As if they were trademarks of Budapest, ruin bars are by far the most looked-for places in the city centre of Pest. If you’re looking for a few things to do in Budapest, look no further. There is the first and biggest called Szimpla and many others all around the city. Prepare for a unique atmosphere: worn-down furniture, broken toys and vintage-styled decorations usually create a friendly chaos. They are perfect venues for small parties, but you can always just have a beer with your buddy as well. After a pre-party in a ruin bar Hungairans like to go dancing to pubs like Instant, Color, Szóda or Kuplung. And there’s an all new party area in the citycenter called “Gozsdu udvar” waiting for you to check out. If you’re lucky, during the day you can also discover a flea market nearby, where bargaining is compulsory! Budapest is not only for business trips or romantic getaways. Whether you are with a group of friends or with family, you’ll find numerous opportunities for making the most out of your time. Room escape-places have their renaissance now. You should work as a team indeed, in order to escape the rooms. It’s an excellent and entertaining programme for couples, families or small companies. For kids, nothing’s better than an afternoon in the Zoo! Budapest has a colourful Zoo with historic elephant house and interesting Japanese garden, regarding the species kept here, so no child would be left bored! There are countless things to do in Budapest: you should just go around and find the ones you like! Got interested in this beautiful city? Book a visit to Budapest!